Historic Modesto shul welcomes new Latino members – J. When the phone rang at the Modesto synagogue office one day in 2013, the congregant who answered was asked a question that momentarily stopped her: Speaking in halting English, the man on the other end was calling to inquire about adult circumcision. The mystery caller turned out to be part of a group of seven Latino families in the Central Valley who had been studying Torah together for two years. Now they wanted to do more than just learn about Judaism — they wanted to be Jewish. Thus began the changing tides for Congregation Beth Shalom, a Conservative synagogue whose members until recently were predominantly white and Ashkenazi. CBS has been around for 100 years, and many members can trace their heritage back to the temple’s founding families. Membership, though, has been in decline since 2000. 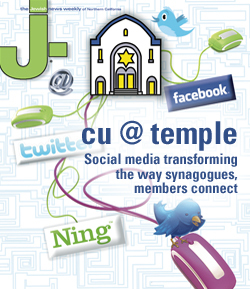 Three-plus years ago when the phone call came to the synagogue office, there were only 105 members, and most were not regular shulgoers. Now that several Latino families have joined, they have become some of the most active members of the congregation, according to the rabbi. Over the years, the descendants of these families have been the backbone of the congregation. The current president, Doug Highiet, is a direct descendant of both the Zeff and the Highiet families and works in the family metal business. His grandfather, Alec Highiet, who served three presidential terms, was made an honorary president for life. Bochner, 48, who previously was director of Santa Cruz Hillel and director of lifelong learning at Berkeley’s Congregation Netivot Shalom, describes himself as “primarily Conservative with a twist of Renewal and Chabad.” He and his family split their time between Berkeley and Modesto, only 85 miles in distance but in many ways worlds apart. The rabbi calls Beth Shalom “a lonely outpost of Judaism in this vast expanse of the Central Valley,” with the nearest synagogue some 30 miles away in Stockton, and said it functions as a center for Jewish life in the area with community events throughout the year. 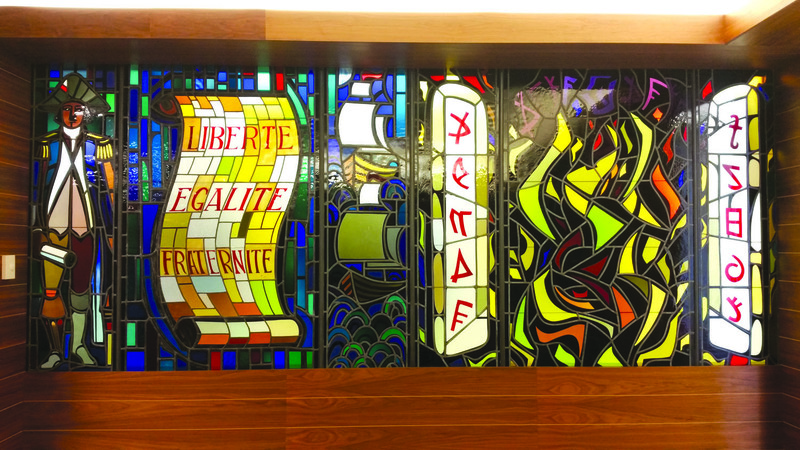 In a glass case in the synagogue’s lobby sits a large book inscribed with the dates and details of every bar and bat mitzvah that has taken place in the congregation. Most recent to pen her name in the large omnibus was 12-year-old Andrea Jiminez, who celebrated her bat mitzvah on May 7. She is the daughter of David and Esther Jiminez, one of the three couples who contacted Congregation Beth Shalom in early 2013. David Jiminez grew up in Mexico, Esther in El Salvador. While neither was raised in a religious environment, they agreed it was important to raise their own family with the structure and values of religion. “I wanted my kids to feel connected to something,” David Jiminez said. The family wanted to learn more, but their options were limited: While CBS was the closest synagogue in the Central Valley, the services were in English and Hebrew, neither of which they knew well. So they joined a Spanish-speaking prayer group that portended to be Jewish but was in fact Messianic. Initially unaware that Messianic Judaism is widely viewed as a form of Christianity, the Jiminezes started noticing similarities between the Messianic character of Yeshua and the Jesus they had left behind. 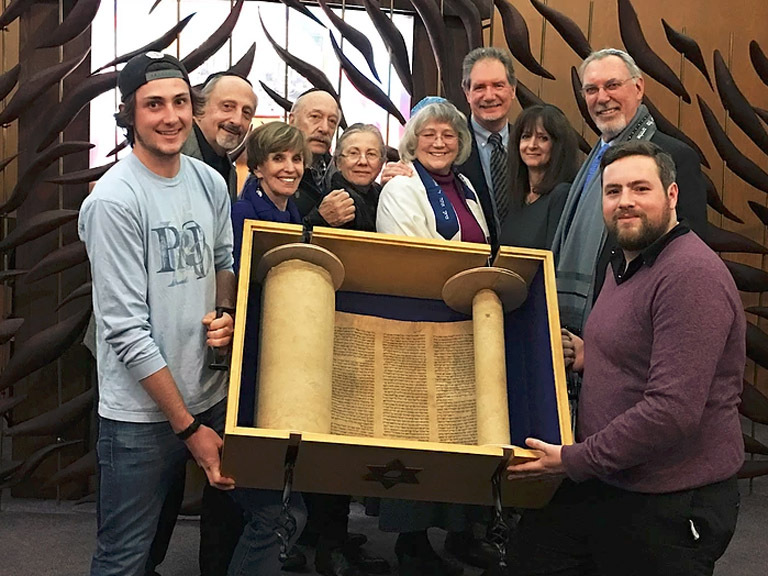 Such deviations from traditional Judaism led the couple, along with several other families, to split off from the prayer group and start their own Jewish study circle, learning about Torah and discussing Jewish texts for the next two years. By 2013, three families decided they were ready to push their interest further. That’s when David Jiminez called Beth Shalom. 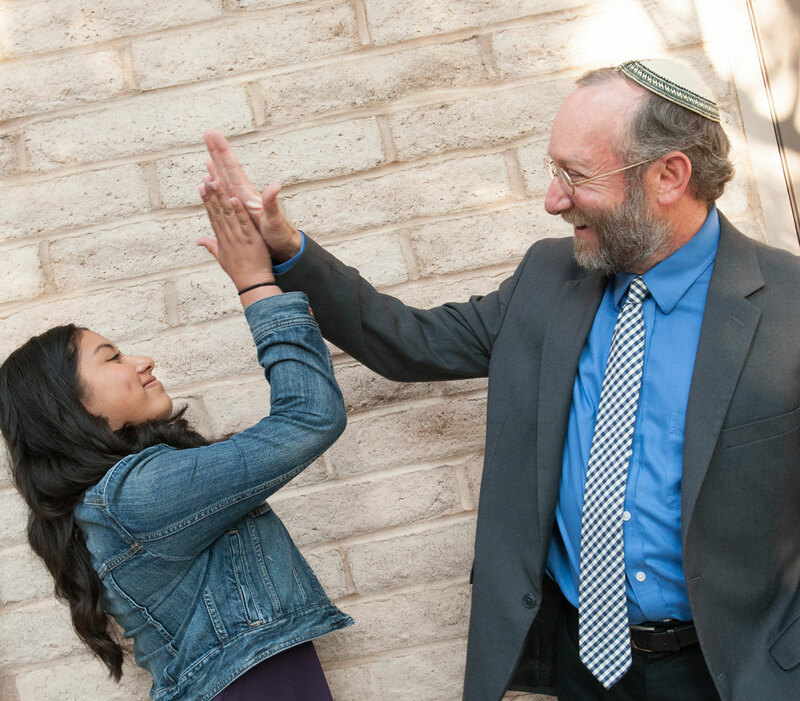 Greenwald added a Spanish-language conversion class and for over a year met weekly with the families — 12 students in all — to discuss their journeys to Judaism. Many spoke little to no English. Nearly all were deeply committed to learning Jewish laws and practices, joining the congregation and ultimately converting to Judaism. The Latino families who have joined CBS share more than just a language — they all speak of the powerful feelings of purpose and connection that Judaism has brought to their lives. Seja, 42, grew up Catholic in a small town in Mexico and remembers going to church eagerly with his grandmother as a young child. In his late 20s, he began to question his connection to Catholicism. Then about 10 years ago, he read his first book about the Holocaust and felt haunted. “It was devastating. I felt deep inside of me, these are my people. These atrocities were committed against my people, I am a Jew,” said Seja. His research led him to the story of the Crypto-Jews, people with Jewish ancestry who had to feign conversion to Catholicism during the Spanish and Portuguese Inquisition to avoid deportation or worse (Jews were ordered to leave the two countries starting in 1492 — “Conversos” who remained lived under threat of execution if their secret Jewish practices were revealed). Many Converso families moved to the New World, thinking they would be safe to practice their Judaism there, but the Inquisition followed them to the Americas and continued to be part of public policy in South and Central America until the early 1800s. Because the Inquisition lasted for so many generations, the majority of these “secret” Jews lost knowledge of their heritage. Seja, who is convinced this is the story of his family, says he can trace many of their surnames back to the historic Iberian Peninsula that was once referred to by its Jewish inhabitants as Sepharad. In 1981, then-New Mexico state historian Stanley Hordes gained prominence by speculating about the existence of Crypto-Jews in the Southwest after discovering genealogical links between families in the region and descendants of the Inquisition. Many of these families practiced Jewish-like customs in the privacy of their homes. Since then, the Crypto-Jewish narrative has been debated extensively. Those who support it have pointed to family customs that resemble Jewish rituals, such as lighting candles on Friday night, baking unleavened bread in the spring or placing Stars of David on graves. But skeptics say these ritual anomalies may merely be vestiges of Judeo-Christian practices and argue that genetic testing is inconclusive. It is hard to find a reliable estimate of the number of Crypto-Jews in the United States, given the malleability of their identity. Scholars and geneticists who study the phenomenon estimate that roughly 10 percent of those with Latino ancestry contain the “Cohanim marker”— a Y chromosome that traces to the Middle East and is often determinant of Jewish heritage. The largest concentrations of Crypto-Jews within the United States are believed to be in New Mexico and Arizona, with some in California, as well. But the narrative alone has a powerful pull. “I get calls every week, sometimes two or three, from people living in the Central Valley telling me that they just found out they are 45 percent Jewish and want to know what to do,” said Bochner. Samuel De Lemos, a Beth Shalom congregant for five years, believes he has Crypto-Jewish ancestry in his family. He has traced his ancestors’ voyage from Spain to Portugal, through Amsterdam and Germany, and then finally into Guatemala, where he was born into a Catholic family. It wasn’t until his early teenage years that his mother told him, quite matter-of-factly, that he was Jewish. He remembers his grandmother would clean fastidiously every Friday night and his grandfather would tell them stories from the Old Testament. Shortly after Bochner was hired as CBS rabbi, he realized there was a need for integration within the community. “That first weekend, I got to shul on Saturday morning and noticed that half of the congregants were people of color,” he said. He saw that many were struggling quietly with their English, so he added a weekly Spanish reading to the service and ordered prayerbooks and chumashim (the Torah in printed form) that are transliterated and translated from Spanish to Hebrew. He also picked up on wariness among longtime congregants about the intentions of the newcomers — and so he invited a guest speaker, Rabbi Yosef Garcia, co-founder of the Association of Crypto-Jews of the Americas, to address the community. Prior to the lecture, the rabbi spearheaded an outreach Shabbat to facilitate dialogue between older and newer members of the temple, with help from a Spanish-English translator. 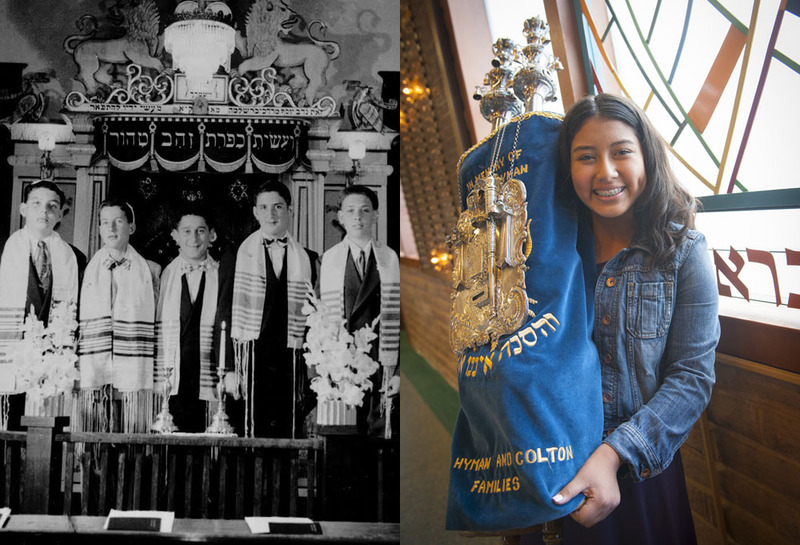 That family feeling was evident on May 7 at Andrea Jiminez’s bat mitzvah — the first openly Jewish celebration in her family’s recorded history. The blue-carpeted synagogue was filled with Jews and non-Jews of different racial and ethnic backgrounds. Andrea, her mother, Esther Jiminez, and Seja — all of whom have studied Hebrew for a short time — chanted the Torah portion alongside members of the congregation who had celebrated their b’nai mitzvah decades ago. After Andrea completed her drash (sermon), which she presented first in English and then in Spanish, the congregation threw coconut Chick-O-Sticks at the bimah. After the service, congregants shmoozed over a Kiddush with egg salad and crackers, which was later followed by a family party featuring tacos and molé at Andrea’s cousin’s house. Rosy and Rudy Gonzales were each raised Christian, and neither has yet journeyed to the mikvah. But Rudy, 51, already considers himself Jewish. Rudy said he always felt like he was searching for something. Married to his high school sweetheart, he spent years bouncing from one thing to the next. A few years ago, he separated from Rosy while dealing with a drug addiction and ended up living on the streets in Los Angeles. Then he made a connection that led him to turn his life around. One afternoon, Rudy went into a Jewish bookstore. Something about the books called to him, and he began to read Jewish interpretations of the Old Testament. Soon after, he decided to attend a synagogue service in downtown Los Angeles. On the advice of his Jewish friend, he made sure to follow the folks around him, standing and sitting when they did. The impact of that service was immense. Gonzalez continued to attend services for a year while living on Skid Row. As he became more and more connected with Judaism, he felt his life changing. “I was ready to move back, be with my family, be a father,” said Rudy.